Whether you want to be a professional boxer some day, or maybe you’re a big fan of boxing that wants to know what it’s like to box and train like a professional fighter I will give you the authentic methods to achieve your goals and to learn how to box. Over the course of my professional career, I had 56 fights, I fought the tens, the twelves and the fifteen rounders, but better than that, I fought in an era when boxing was still in it’s golden years. During the late 60′s till the end of the 80′s produced some of the best fighters of all time. All those dingy gyms like the ones you see in the movies were where you could see the champions and world contenders, all sharing the floor at the same time. 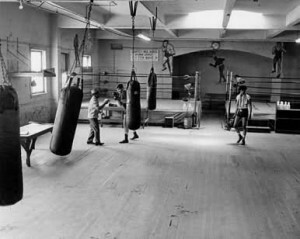 Those gyms were full of old school trainers, teaching their tricks, their moves, using their analogies and words of wisdom to build and mold their fighters. Man!! those guys were great!! I learned a lot from those old trainers and through my own experience as a boxer, I see boxing, “the sweet science” as it’s known, is starting to sour a bit. Today there’s a lot of trainers, but not enough teachers. That has motivated me to pass on some of what I’ve learned over the years to YOU. Boxing Lessons in Hollywood, Culver City, Santa Monica, Mar Vista, Beverly Hills and surrounding area.